However, for the reduction in price, you have to make quite a few sacrifices – and if you’re a photographer, or someone who is particularly interested in using your phone to take pictures, unfortunately one of them is to the camera. 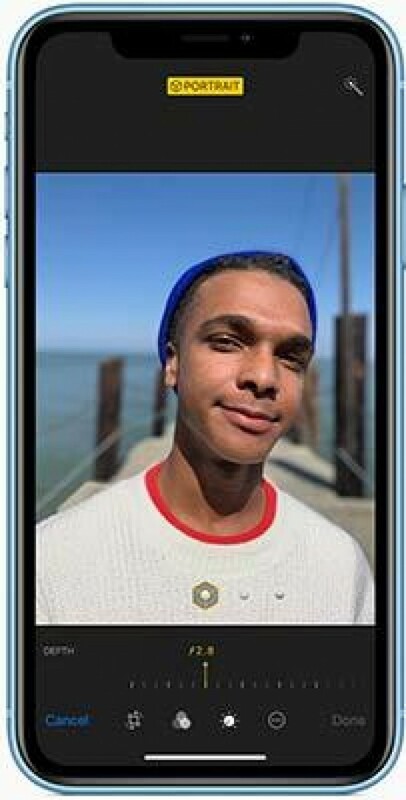 While it’s still a perfectly serviceable camera, it’s something we’d be more likely to recommend to somebody who’s not overly bothered about their phone’s camera performance, or is happy to make a compromise in order to stay within the Apple family. Despite the iPhone XR being a “budget” option, it still retails for the best part of £800. For the same price, you could pick up several of the top-of-the-line Android phones currently on the market, such as the Huawei P20 Pro. For not much more, you could also get a Samsung Galaxy Note 9 or a Huawei Mate 20 Pro. It also feels like if you’re going to spend £749 on a phone, it’s worth making the additional £250 payment to pick up the much better iPhone XS. Only having one lens makes the iPhone XS feel more like a mid-range phone. Comparable Android devices, such as the OnePlus 6 can be picked up for under £500, and perhaps makes more sense for those whom photography is important, but so is budget. On the plus side, having a single lens hasn’t stopped the iPhone XR offering the very popular Portrait mode, albeit only for use with human subjects. It produces results which are fairly impressive considering there’s just a single lens, but it doesn’t match the Google Pixel 3, or even the Google Pixel 2 for that matter – both of which also only use a single lens. Putting all other considerations aside, the iPhone XR will no doubt still sell extremely well. If you’re heavily invested in the iOS ecosystem, it’s the cheapest entry into owning a current iPhone, so is recommended for iPhone fans who are on a (slightly) restricted budget.